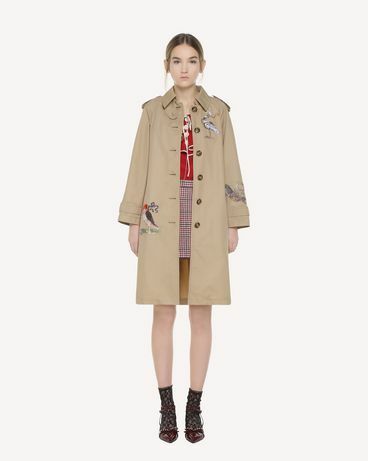 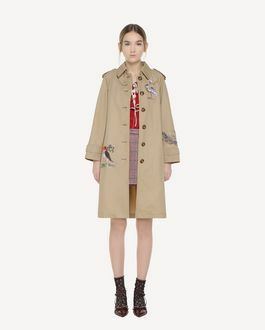 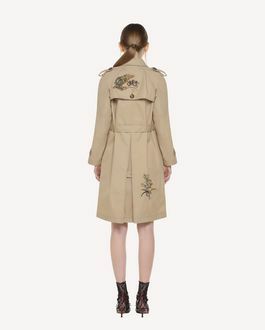 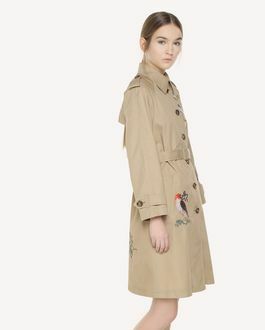 Belted Gabardine trench coat with an inverted pleat on the back to create a light flare. 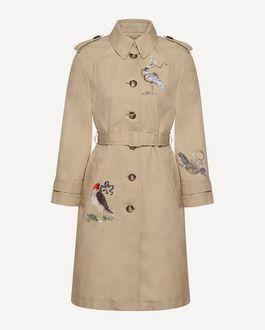 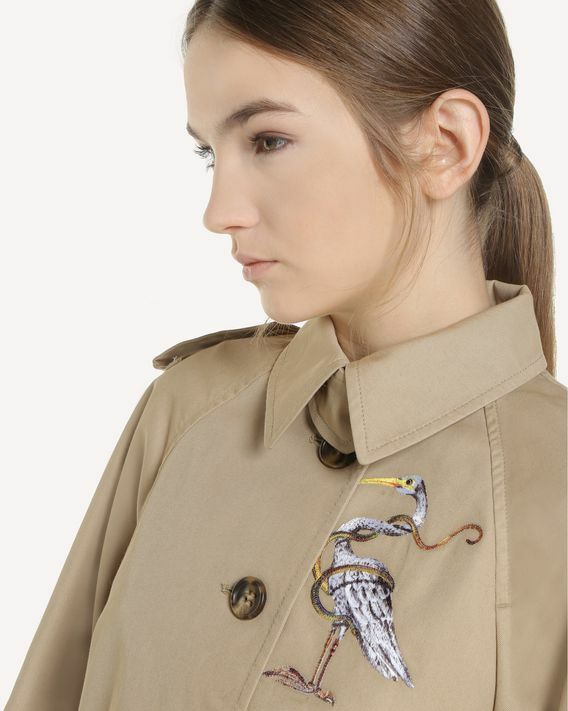 Enriched with brightly coloured Enchanted Reptiles and Birds thread embroideries. 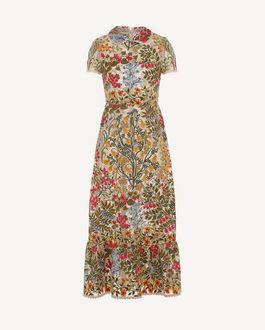 - Length in Italian size 40: 98 cm/ 38.5"